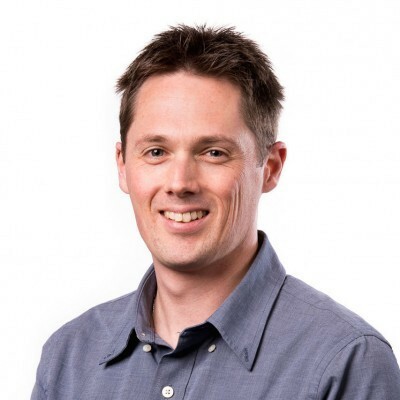 Associate Professor Scott Mueller is an NHMRC Senior Research Fellow and laboratory head in the Department of Microbiology and Immunology, The University of Melbourne, at the Doherty Institute. Scott is a world leader in basic immunology research, using advanced microscopy methods to visualise the cells of the immune system. Dr Mueller trained at Monash University and then the University of Melbourne where he completed a PhD, before heading to the USA where he completed postdoctoral training at Emory University, Atlanta, GA. He then spent time working at the National Institutes of Health before returning to Australia as an ARC Queen Elizabeth II Fellow to set up his laboratory. His research is focused on dissecting the fundamental cellular processes involved in immune responses to infectious diseases and cancer in order to identify new targets for vaccine design and therapeutics. Current research in his lab is also dissecting crosstalk between the immune system and the nervous system and identifying the roles of mesenchymal stromal cells in immunity to infection and cancer. Scott is internationally recognised for his research on T cells, utilising animal models and intravital microscopy to interrogate cell dynamics and cell cell interactions in vivo. He helped establish a multiphoton in vivo imaging facility (IVIF) in the Department of Microbiology and Immunology and pioneered methods to image immune responses in the skin. He publishes in the leading journals, including Nature, Science, Nature Immunology, Immunity and PNAS. Scott’s work is supported by the National Health and Medical Research Council (NHMRC) and the Australian Research Council (ARC). He has been awarded multiple competitive fellowships including an ARC Queen Elizabeth II Fellowship, an ARC Future Fellowship and an NHMRC Senior Research Fellowship. Scott serves as a councillor for The Australian and New Zealand society for Immunology (ASI), is a chief editor for the journal Frontiers in Immunology and reviews regularly for top journals and international funding bodies. Much of our understanding of the complex series of events that occur during the priming of immune responses to infections or following vaccination have been gained via static methods such as flow cytometry, histology and cell culture. These methods provide limited information on when, where and how different cells interact during the different phases of immunity. 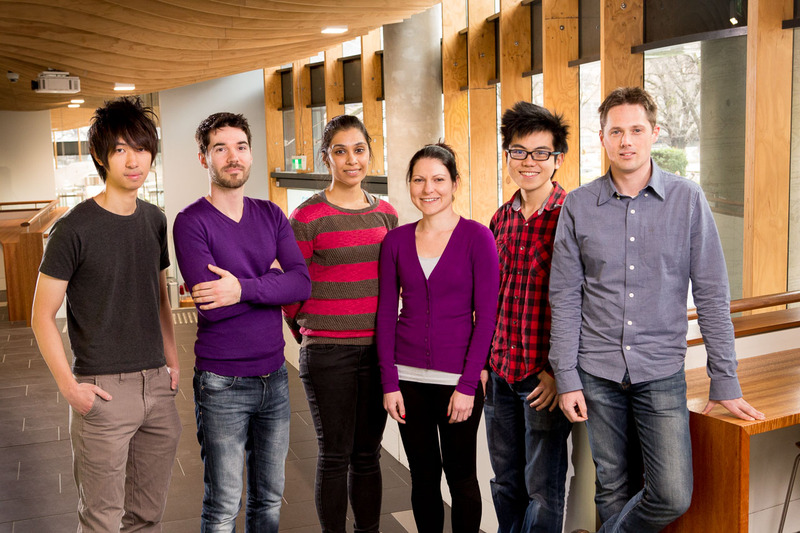 Scott’s group now has the ability to follow immune cells within living tissues and animals to determine their behaviour in real time using intravital 2-photon microscopy. A major goal is to understand how T cells are activated in response to viral infections. T cells (both CD4+ and CD8+) are first activated in draining lymph nodes via interactions with dendritic cells (DC) presenting viral antigens. Using well-established models of localised or systemic viral infection, they are directly examining T cell responses by 2-photon microscopy in the skin, lymph nodes and spleen. They have assembled an array of powerful tools, including recombinant viruses and transgenic mice expressing fluorescent molecules in various compartments.Much of our understanding of the complex series of events that occur during the priming of immune responses to infections or following vaccination have been gained via static methods such as flow cytometry, histology and cell culture. These methods provide limited information on when, where and how different cells interact during the different phases of immunity. Scott’s group now has the ability to follow immune cells within living tissues and animals to determine their behaviour in real time using intravital 2-photon microscopy. A major goal is to understand how T cells are activated in response to viral infections. T cells (both CD4+ and CD8+) are first activated in draining lymph nodes via interactions with dendritic cells (DC) presenting viral antigens. Using well-established models of localised or systemic viral infection, they are directly examining T cell responses by 2-photon microscopy in the skin, lymph nodes and spleen. They have assembled an array of powerful tools, including recombinant viruses and transgenic mice expressing fluorescent molecules in various compartments. Protection from viral infections that target peripheral tissues such as the skin requires coordinated recruitment of pathogen-specific T lymphocytes into the tissue where they function to defeat the virus. Following the resolution of HSV-1 infection or inflammation in the skin, tissue-resident memory (Trm) CD8+ T cells reside for long periods in the epidermis where they can provide enhanced protection from reinfection. These tissue-resident T cells display a unique dendritic morphology and a slow pattern of tissue surveillance. Scott’s group is examining how these Trm cells are formed, persist and respond following secondary infection. The lymphoid organs are innervated by fibres of the sympathetic nervous system (SNS), which release SNS neurotransmitters during times of chronic stress. SNS neurotransmitters bind to beta-adrenoceptors (βARs) on multiple cell types to induce genomic and functional changes. However, little is known about the impact of SNS neurotransmitters on immune cell function or their role in anti-viral immunity. Studies have shown that viral immunity is compromised during times of chronic stress raising the possibility that SNS signalling impairs anti-viral immunity by impacting T cell activation, migration or effector functions. This project is examining the effect of adrenergic receptor signalling in T cells on their migration within tissues such as the lymph nodes and subsequent immune responses to viral infections. The lymphoid tissues (spleen and lymph nodes) are constructed of a complex microarchitecture that is supported by networks of endothelial and mesenchymal stromal cells. The T cell zones in the spleen and lymph nodes are supported by a network of stromal cells known as fibroblastic reticular cells (FRC). Little is known of the phenotype of these stromal cell subsets and how they can influence the immune cells they regularly interact with. Scott’s group is examining how FRC contribute to the expansion and contraction of secondary lymphoid organs during immune responses to acute and chronic viral infections, as well as following recall infection. The phenotypic changes that occur in the secondary lymphoid organ stromal cells after infection will reveal how FRC function changes and whether pathogens can differentially influence the functions of these critical cells and how this influences immunity. T cells play key roles in protection against Plasmodium berghei infection. The mechanisms underlying T cell activation in the spleen and migration to the brain where they can cause disease are not well understood. To address this, Scott’s group have developed a novel system to image the brain in live animals undergoing malarial infection using 2-photon laser scanning microscopy. This allows temporal assessment of the immune response occurring in the brain. Using tools including TCR transgenic mice generated by the Heath group, they are examining the role of malaria-specific CD8 T cells in disease. Research in Scott’s group is focused on examining immune responses to both acute and chronic viral infections. A particular emphasis on T cell responses and interactions with antigen presenting cells and lymphoid tissue stromal cells is currently driving the group, as well as an interest in neuro-immune interactions.